AssureSign brings LinkedIn Sales Navigator and Microsoft Dynamics 365 three-in-one integration to CRM users. ATLANTA, GEORGIA, October 23, 2017	(Newswire.com) - ​​AssureSign, the preferred eSignature vendor for Microsoft's Dynamics 365 CRM, has announced its integration with LinkedIn’s Sales Navigator and Microsoft’s Dynamics 365, allowing users to leverage all three platforms in a single environment. The synchronization between AssureSign’s secure eSignature, LinkedIn’s popular lead generator, and Microsoft’s capable CRM alleviates formerly manual processes with automation that simplifies a user’s end-to-end sales cycle. The CRM integration is most notable for providing increased sales opportunity along with simplified digital processes. Data syncing also enables the three-way CRM integration to host other features, including: (1) widgets in Dynamics and Navigator that auto populate data input from one to the other, (2) launching of Navigator operations from Dynamics and vice versa, (3) amplified search options through criteria filters, and (4) content engagement that allows for personalized recipient and prospect communication. In addition to functions specific to the integration, users will also enjoy features native to AssureSign's electronic signature platform. One popular feature among AssureSign's business customers is the custom branding, signing and email standards that allow organizations to retain their marketing schemes when sending documents from the AssureSign platform. Bulk sending to multiple signers; the industry's only SMS/text message signing function; template creation for quick, reoccurring document sending; and versatile end-user signing options are other heavily utilized features among AssureSign customers. "AssureSign is particularly excited to be involved in bringing the eSignature and lead generation processes together under the umbrella of Dynamics 365," said David Brinkman, President and CEO of AssureSign. "These three business solutions working in tandem generates unparalleled opportunity for B2C and B2B markets." Since 2000, AssureSign has enabled many enterprises to secure legally binding electronic signatures through its eSignature platform. Since that time, the eSign vendor has garnered a repertoire of features that meet the unique needs of independent organizations. The option to use AssureSign's cloud storage or a privately-owned cloud has long made AssureSign a preferred eSign vendor, despite varying regulation among markets. Because AssureSign began integrating with Microsoft Dynamics 365 well before the three-way CRM integration was built, existing AssureSign-Dynamics 365 customers can seamlessly add the missing LinkedIn Navigator solution with no existing process disruption. Dynamics users that are not leveraging the AssureSign or LinkedIn solutions must purchase both solutions separately. AssureSign offers affordable pricing options based on business size and planned usage. Their negotiable pricing terms can be found on their website. LinkedIn's integration pricing options are also listed on the company's pricing page. Both AssureSign and LinkedIn provide trial accounts for prospective users. Representatives from AssureSign, LinkedIn and Microsoft's MVP division teamed up to host a joint on-demand webinar that showcases the integration's many benefits and use cases. The on-demand webinar can be viewed on AssureSign's website at no cost. Additionally, AssureSign provides a succinct summary of the integration's capability and benefits in its recently published blog post. 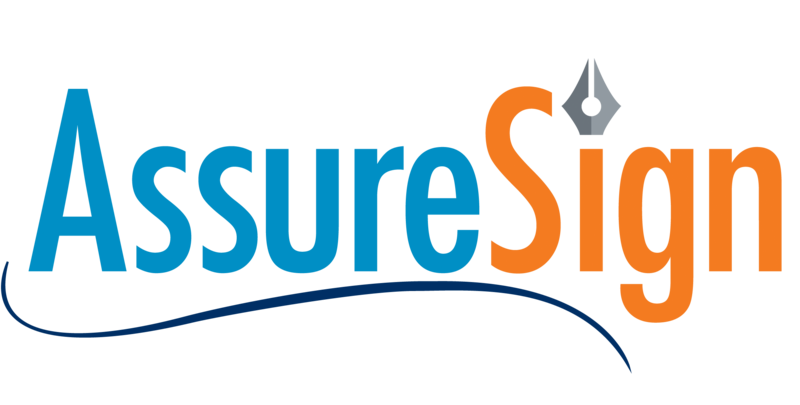 AssureSign simplifies the world's most powerful action – the signature. Available as an on-premise, customizable solution for the enterprise and as an on-demand, SaaS solution for small business, AssureSign enables any business to create and execute a secure and seamless signature experience. By offering the electronic signature industry's most flexible API, AssureSign has also built an extensive partner program with a proven revenue stream. Founded in 1999, AssureSign has executed over 300 million electronic signatures for many of the world's most well-known brands. AssureSign provides best in class enterprise electronic signature solutions worldwide. The recently named "Market Leader" of the electronic signature industry yielded unprecedented growth in 2018. The collaborative was the vendor's first Customer Advisory Panel (CAP) in its near twenty-year tenure. Aragon Research positions AssureSign as an "Innovator" in its 2019 Globe for Digital Transaction Management (DTM).